I am so incredibly excited for this weekend! Not only is it a “we don’t have 15,000 things to get done” type weekend, but tomorrow is supposed to be gorgeous! As much as I do love winter and cold weather precipitation, it’s March people. I need some sunshine. I’m ready for pretty pastel colors and beautiful flowers! I need to break out the grill and make cold, refreshing fruity beverages! I need some patio weather…and a tan. The husband and I absolutely love our backyard, although I confess I do not always have a sunny disposition when it comes to yard work. Okay, I hate it. There, I said it! But – I do love to entertain, so that kind of makes up for it right? He gets the yard looking nice, I whip up lots of goodies and everybody enjoys themselves. It’s a win-win people (any comments affirming that statement would be appreciated so that I can print and laminate and post on the refrigerator). So in the spirit of entertaining, I’m sharing a delicious new recipe with y’all I whipped up a few weeks ago and had to make again so that I could get pictures for sharing. I tried a version of these out at lunch with my co-workers a few weeks ago and though, I could easily make a healthier version of these! And voila, I did. 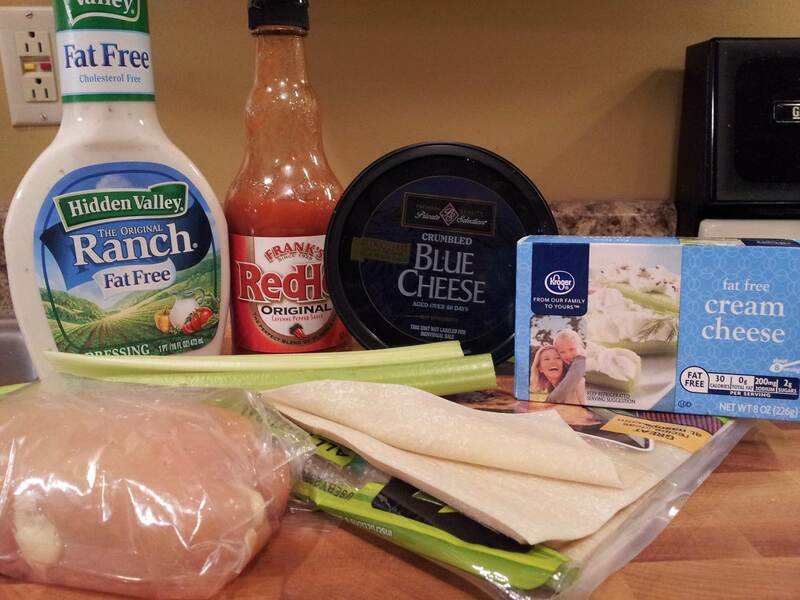 It should come as no surprise to you that it’s a buffalo chicken recipe…I’m pretty transparent huh? Heat your oven to 350 and coat a baking sheet with non-stick spray. 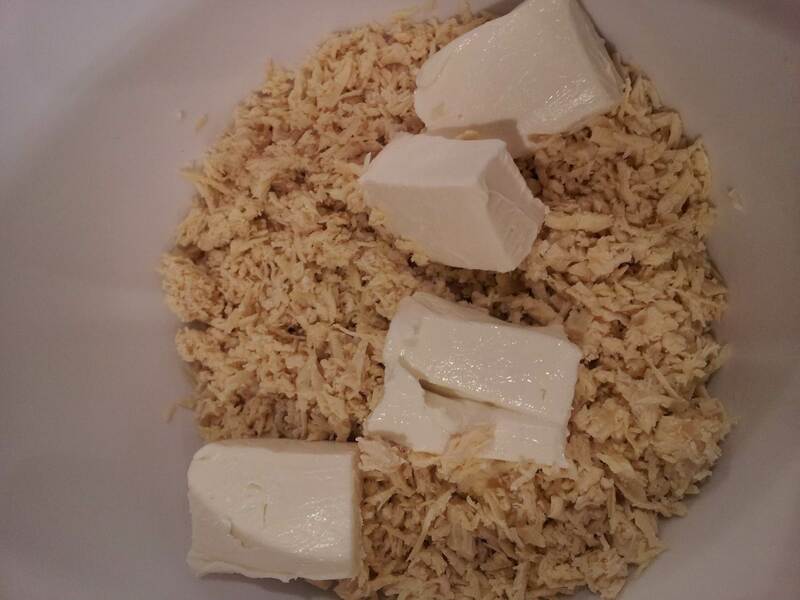 In a small bowl, mix together shredded chicken and cream cheese. Start with 1oz. cream cheese and see how it blends – shouldn’t be overly mushy, just enough to kind of hold the chicken together. 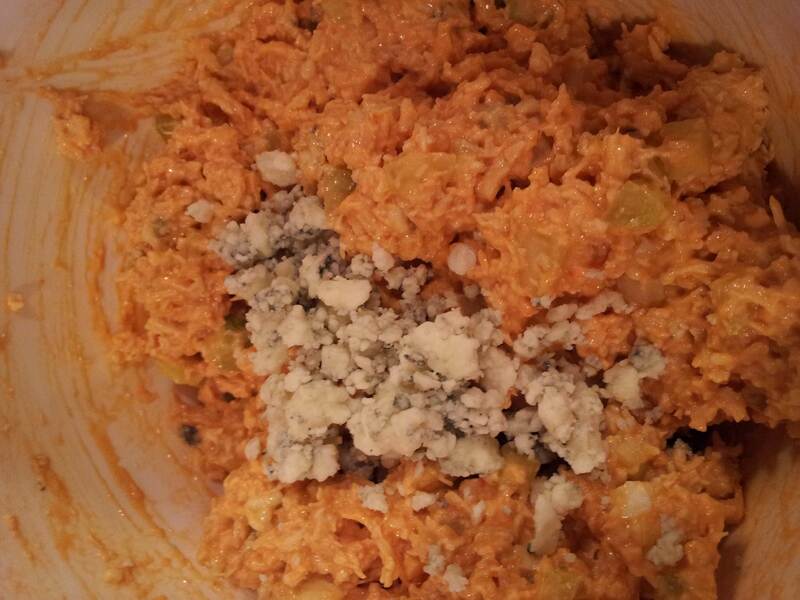 Then add your hot sauce, celery and blue cheese crumbles and mix together until combined. That was easy enough, right? 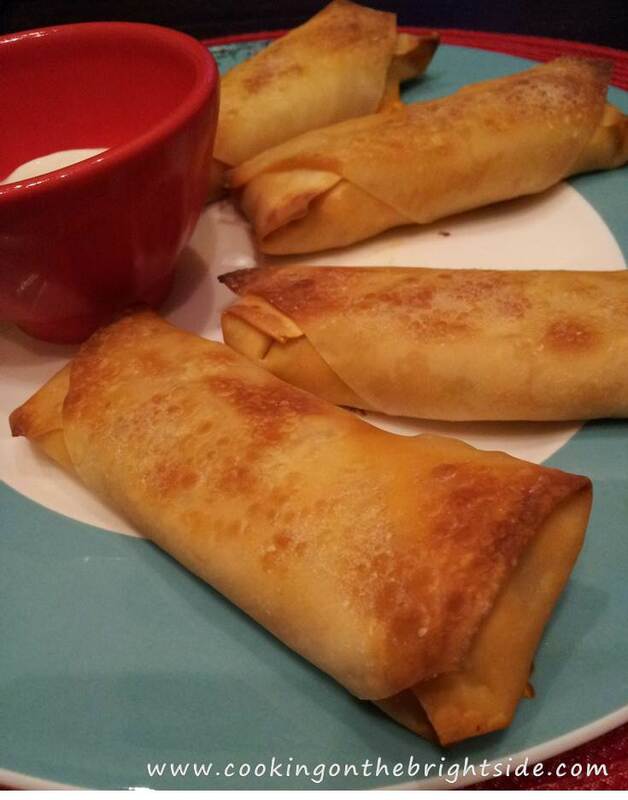 Now for the semi-tricky part – making the egg rolls look pretty decent. Make sure you have a clean, dry work surface and a small bowl of water and a pastry brush. Here are my step-by-step instructions…and some entertainment because I can’t be the only one who has it in my head while giving 5-step instructions. You know you love me. Step 1: Take corner closet to you and fold up to filling. Brush top with a little water. Step 2: Take side corners and fold inward on top of bottom fold. Step 3: Firmly roll the wrapper up toward the top corner. Step 4: Brush wrapper with water where the top corner is about to meet and press down. Step 5: Place on baking sheet, spray with butter and repeat until done! It really is easier once you get the hang of it…and if they don’t turn out beautiful, at least they are still delicious right? 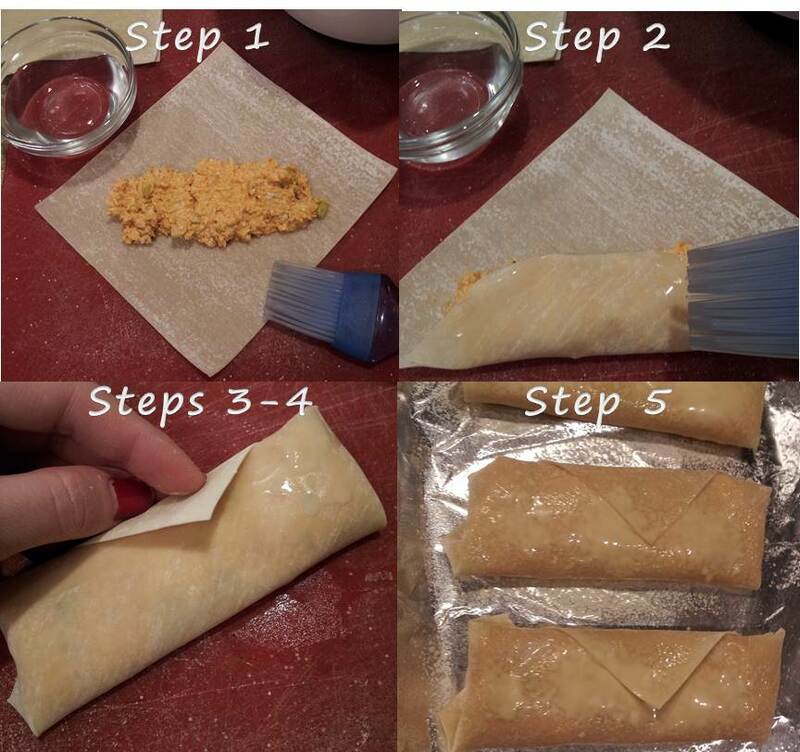 Once you have all of your egg rolls, um, rolled, bake for 6 minutes. 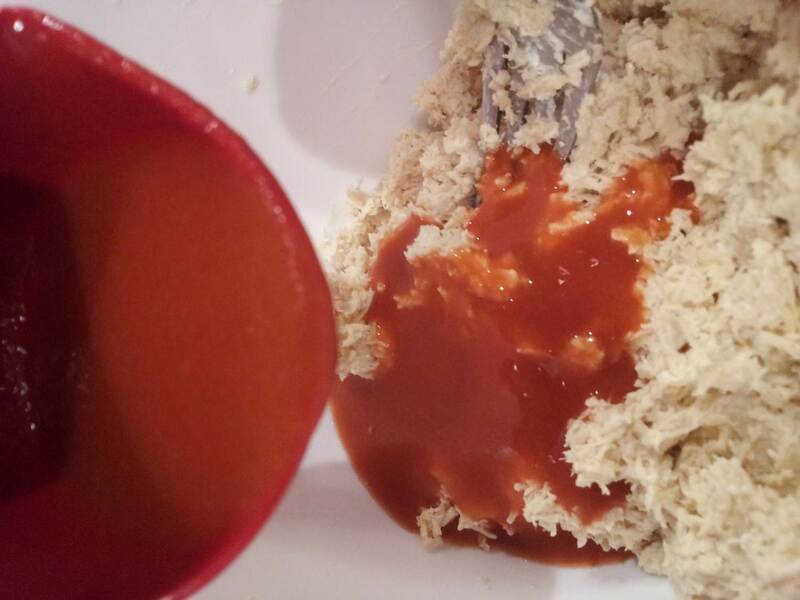 Remove from oven, flip, spray other sides with butter spray, and return to oven for another 6-7 minutes. Plate and serve with Ranch dressing. 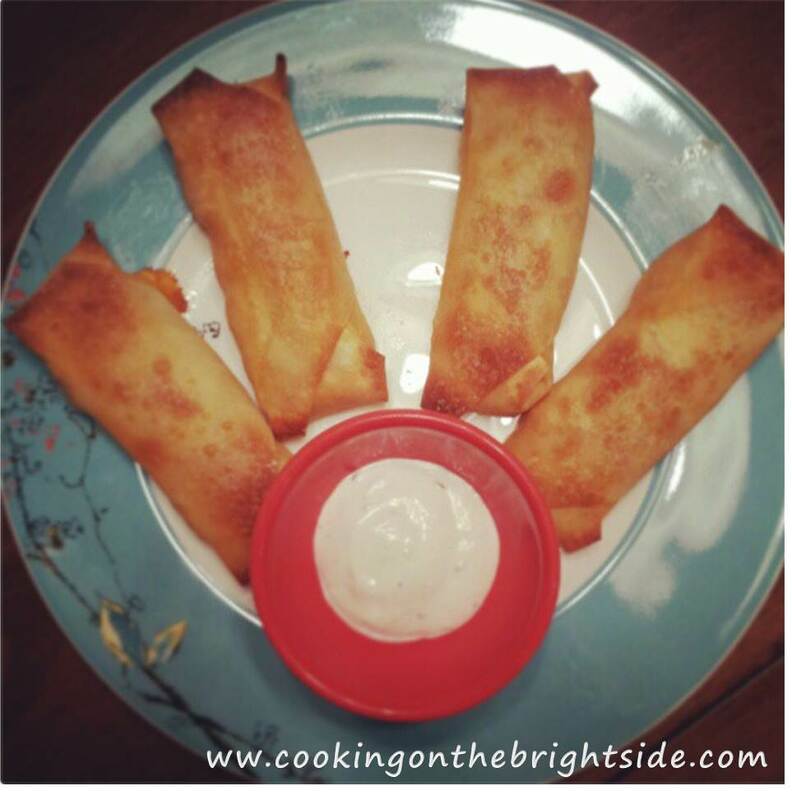 These are super delicious and actually pretty filling – the husband and I had these for dinner one night and 4 seemed to be the perfect amount! I’m sure you could cut these in half and serve as appetizers…but let’s be honest, you need a whole one to yourself! Enjoy and have a wonderful weekend everybody! 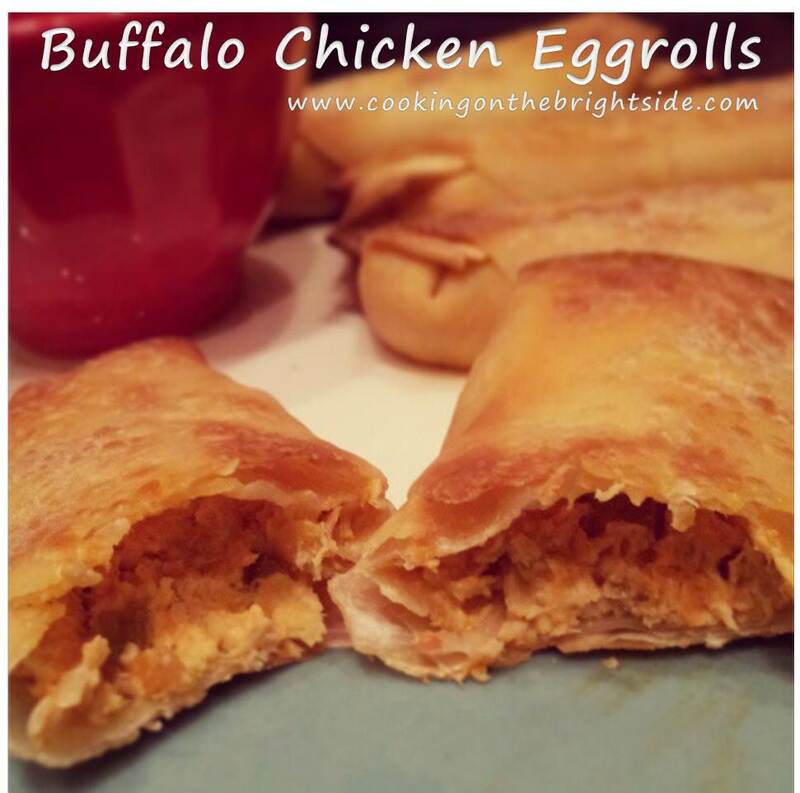 This entry was posted in Appetizers, Bites and tagged baked egg roll, buffalo chicken, buffalo chicken eggrolls, health egg roll, weight watcher egg roll, weight watchers appetizers by cookingonthebrightside. Bookmark the permalink. First, laminate it because I can confirm you are one of the best hostess of all time. Second, thanks so much for this recipe I’ve tried something similar but fried them and they turned out a hit mess. I never thought to bake them- you’re a genius!!! Yummy – now I’m craving this!